I ended up with Paleo Cookie Dough Truffles, Chili Roasted Pepitas, and a whole smorgasbord of other goodies. The other recipe I made was Chili Roasted Pepitas. Whether or not seeds are considered “paleo” depends on who you ask. I typically do not eat them, as they’re difficult to digest (that whole external shell to protect the inside fruit thing…). I had purchased some a while back for a specific recipe, and all I could find at the time was a huge bag of them, which have sat in my pantry ever since. I decided to use them up with this recipe from elana’s pantry: Chili Roasted Pumpkin Seeds. I followed the recipe exactly (again, super easy! ), and they were so good! I was pleasantly surprised with how light and airy the seeds became after toasting, and they’re a great crunchy, healthier snack to have sitting around instead of crackers or granola. I also made Dark Chocolate Pistachio Sea Salt Bark from Whole Living (my fave magazine ever). I tried this recipe from the magazine about a year and a half ago, and have been making it ever since. It’s probably one of my most requested recipes. I rub butter on the pan, instead of using cooking spray (yucky), and I don’t measure anything. I melt about 3/4 of a bag of Ghiradelli dark chocolate chips, I sprinkle with lots of shelled pistachios, and grind more sea salt than you’d expect. Salt and chocolate = yum. Another go-to super easy recipe that always gets rave reviews. I’ve also changed up the ingredients with lots of different things, and it’s always been successful, too. This entry was posted in Entertaining, Food, Recipe Reviews, Recipes and tagged Bacon, Brie, Dark Chocolate Pistachio Sea Salt Bark, elana's pantry, Frisky Lemon Nutrition, Fruit, Ghiradelli, Healthy Finger Food, lia sophia, Paleo, Paleo Cookie Dough Truffles, Party, Pepitas, Whole Living by livinglikelinds. Bookmark the permalink. The recipe’s look so good, anxious to try them. Thanks for sharing! Do the truffles affect your blood sugar in any way? These have me intrigued. 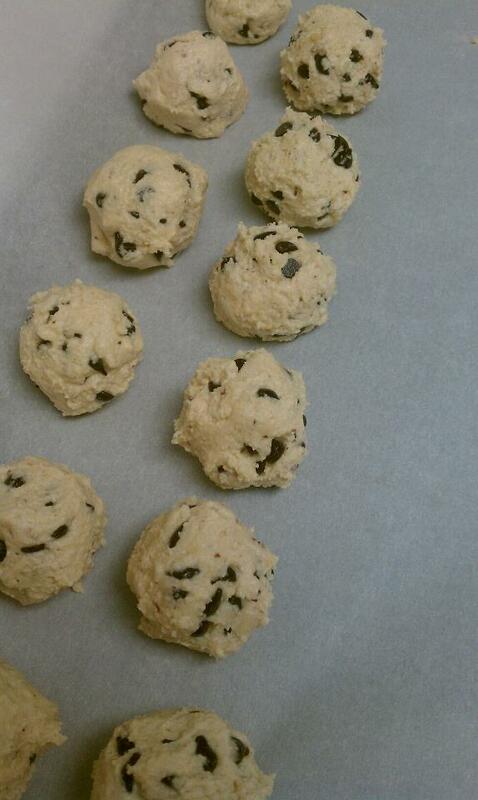 I tried another paleo choco chip cookie recipe and I wasn’t a huge fan. (Too much coconut.) I’ll have to try these now.